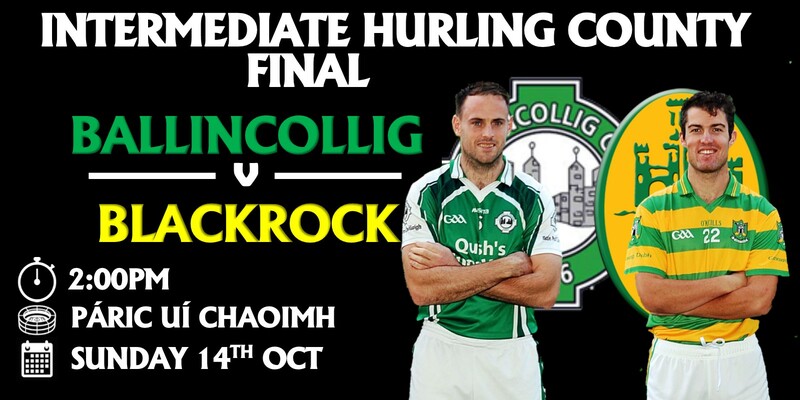 We have Three pairs of tickets to give away for Sunday's County Hurling Finals in Páirc Uí Chaoimh! 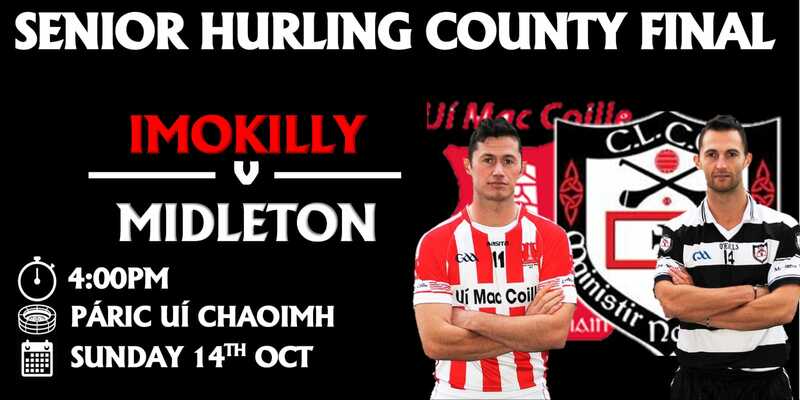 This promises to be a fantastic day out, with Ballincollig playing Blackrock in the Intermediate at 2pm and Imokilly playing Midleton in the Senior at 4pm . To be in with a chance to win, Click Here - answers can be found in our History section. The closing date for entries is today Saturday 13th October at 1pm.